In our monthly instalment of Multilingualism in my family, we meet Leanna, her two monkeys and her husband. No, Leanna does not have two pet monkeys at home. Monkeys are the terms she uses to refer to her boys on her blog. She and her hsuband are raising their sons to be bilingual Spanish and English in the USA. I can relate to Leanna's comment about switching the parental language. Great in theory, but difficult in practice when you are used to doing it one way. Two sons, one three years old and the other three months old. I speak English to our sons, and my husband speaks to them in Spanish. My husband and I speak English to each other. They hear mostly English, though we have Spanish-speaking friends that they will sometimes hear us talking with in Spanish (and that speak to them in Spanish). When we are able to talk or Skype with my husband’s family, it is only in Spanish. 75% English, 25% Spanish (On the weekends, when my husband is home, the percentage of Spanish is much higher). 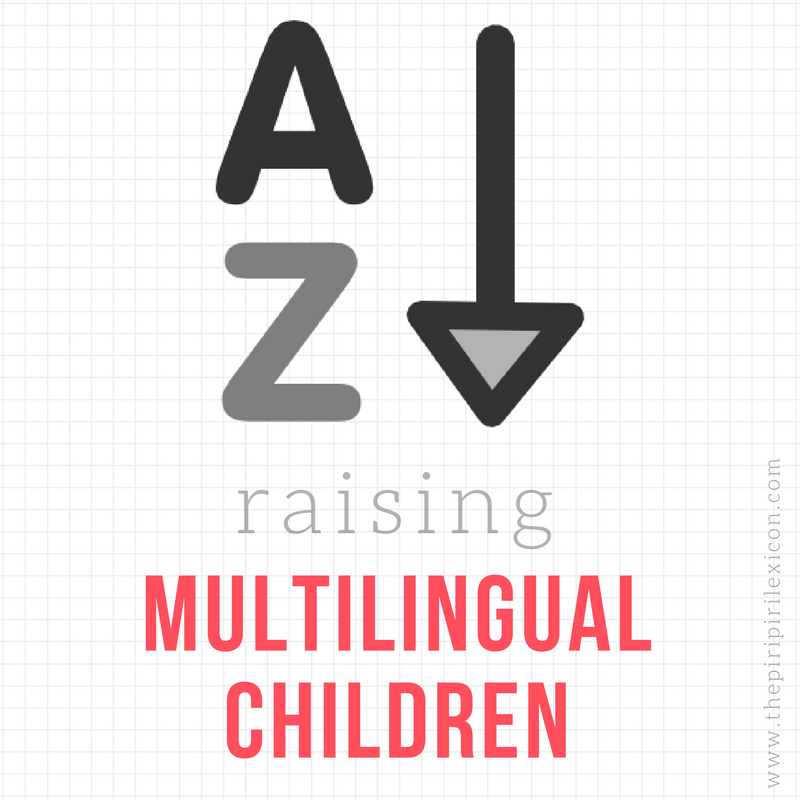 When I was in college, I read an article in a linguistics class that advocated the One Parent One Language method as a way of teaching children both languages while also helping them separate the two. 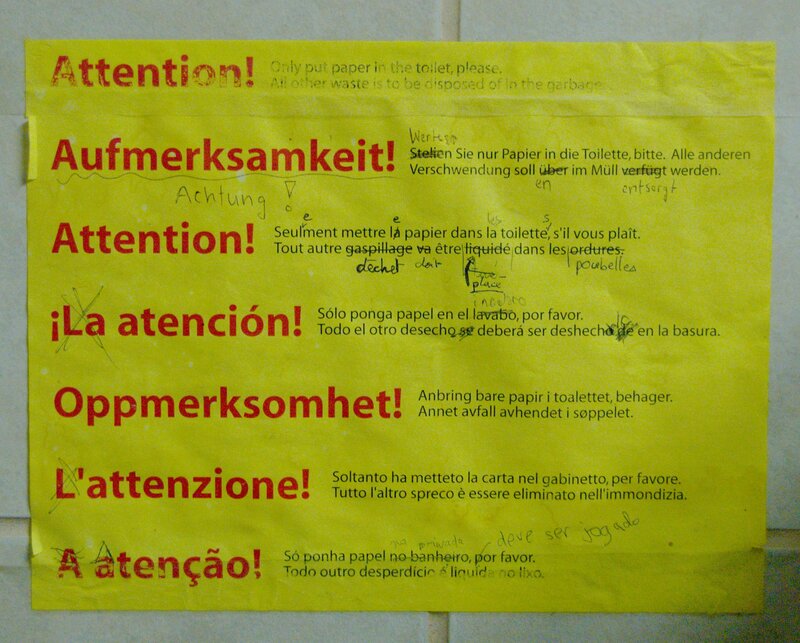 My older son is very familiar with both languages and understands everything spoken to him. I am glad he is getting this early exposure to Spanish. Plus it is nice for my husband and I to be able to speak with him in our native languages. Since I am the one at home with the boys, and we live in an English-speaking country, they are much more exposed to English than to Spanish. Also, since our older son knows Daddy understands English (because he hears us speaking to each other in English), he almost always responds to him in English, even though he is being spoken to in Spanish. The main thing I would change would be for my husband and I to speak to each other in Spanish instead of English. But on a practical level this is hard because English is so much easier for us since we are living in an English-speaking culture. I would also try to speak Spanish more with friends of ours that speak Spanish. I hope that as the boys grow older we can incorporate more Spanish language games and perhaps find a Spanish-immersion program for them. Also, spending time with extended family in Costa Rica, where they are immersed in a Spanish-only environment, will also help a lot. If you would like to take part in this serie, please contact me at thepiripirilexicon at gmail.com. A big thank you to Leanna for answering my questions. Thank you, Annabelle, for including me in this series! Hi Annabelle & Leanna. I am half Greek half German (I was raised in Greece by my German mom and Greek father). I went to Greek school and I am fluent in both languages. I have two children, one son 5 years old & 1 daughter 3 years old. We use the one parent one language with my husband with which I speak to them in German and my husband Greek. My son is fluent in both and my daughter is fluent in German (she is still home with me all day) although she speaks Greek pretty good as well. When my son went to Greek kindergarten he was more fluent in Greek, we switched him schools last September (to a German school) and he is now fluent in both languages again. I believe it is very important to keep the ties to the weaker language (less exposed to) strong by different means (either relatives /playdates / TV/dvd). It is normal though that one language will be the preferred, just be persistent in giving them the fantastic opportunity & priceless life lesson of a second language. You are doing a great job already!